The Carlisle CT121605 Café® cafeteria tray is ideal for schools, buffet lines, and more. Since the surface has a basket weave non-skid pattern, items will not slide around or spill. 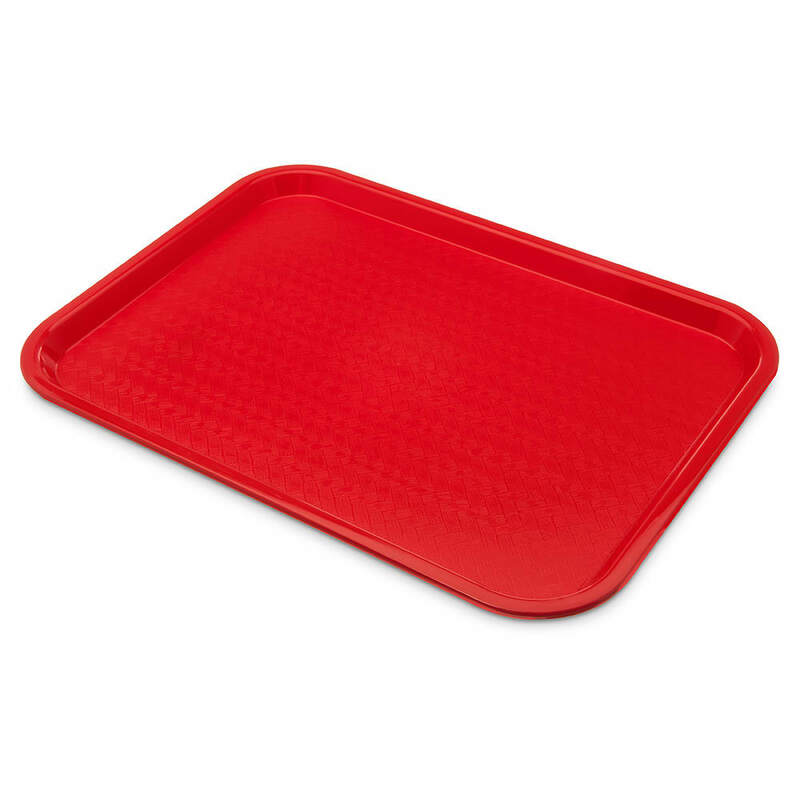 This durable tray is lightweight but can endure frequent use due to its polypropylene construction. 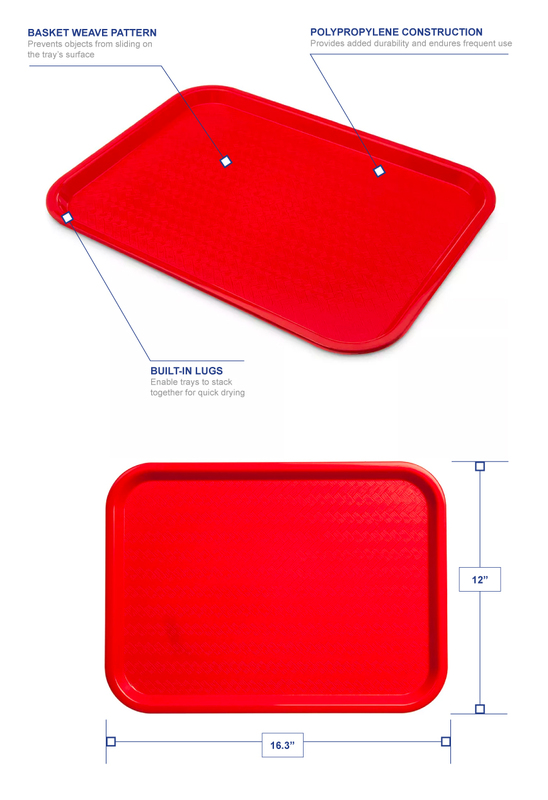 With its built-in lugs, multiple trays can stack together and dry quickly after being washed. "Use the trays in the science classroom for organizing materials for each experiment group. And the trays help contain most spills. And they save..."
"Use the trays in the science classroom for organizing materials for each experiment group. And the trays help contain most spills. And they save a ton of time during a class that would have been used for gathering materials and getting unneeded ones out of the way. We've used the trays for years and they are long-lasting. If they can take the abuse of the classroom, they can handle any food service need."